Thomas Jefferson believed in the civilizing influence of wine and that a nation of farmers would transform the American landscape. Is the growth of viticulture in California’s Napa Valley the fulfillment of his vision or a rejection of it? It sits on the flat floor of Napa Valley with a backdrop of dry, distant chaparral rather than on a little mountain overlooking towering hardwoods, but the winery is named Monticello nonetheless—designed to evoke its namesake outside Charlottesville, Virginia. Smaller than the original, the house lacks Thomas Jefferson’s beloved Chinese Chippendale balustrade above the faux-Palladian porch, and the geometric wood tiles in the entrance hall are not in the authentic pattern. 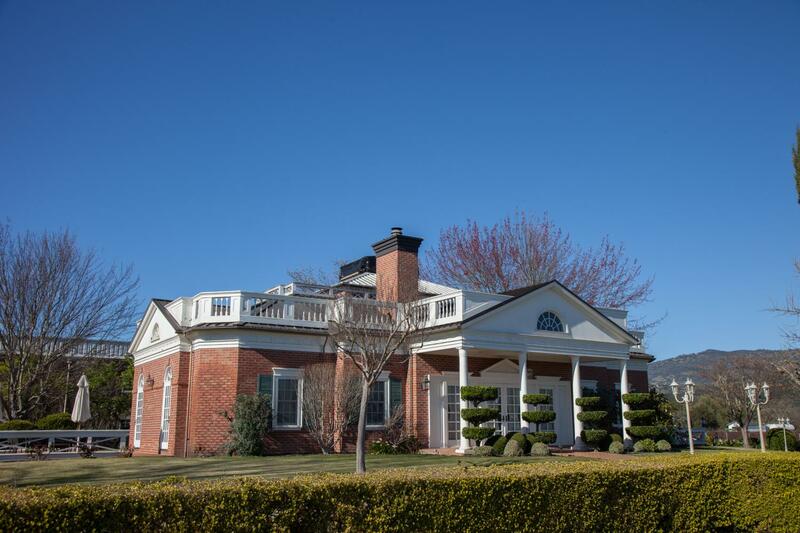 “When I saw how long it took the carpenter to lay those tiles,” says the owner, retired National Security Agency linguist Jay Corley, “I thought, My God, I’ll go broke.” Of course, spending too much money on your house is very Jeffersonian. Corley, in khakis and a Stanford University windbreaker, bears no resemblance to the third president of the United States, yet his white hair gleams in refracted autumn sunlight as Jefferson’s does in the well-known portrait by George Peter Alexander Healy. I first interviewed Corley twenty-five years ago for my book Napa: The Story of an American Eden and remember him sitting at his desk after lunch, nursing a glass of red and discoursing on the challenges of selling what was still considered in some circles an un-American product. I was struck then by how effortlessly a former intelligence agent could become a vintner, transformation being the hallmark in Napa in the wake of the Paris tasting of 1976 that favorably compared California wines with top-ranking French ones and catapulted the valley and its estate owners into vinous stardom. Jefferson considered farmers essential to the survival of democracy because they were tied to the land by living on and working it. The discreet planted parcel was the farmer’s preserver—and the farmer, by virtue of his devotion to the land, the preserver of the nation. 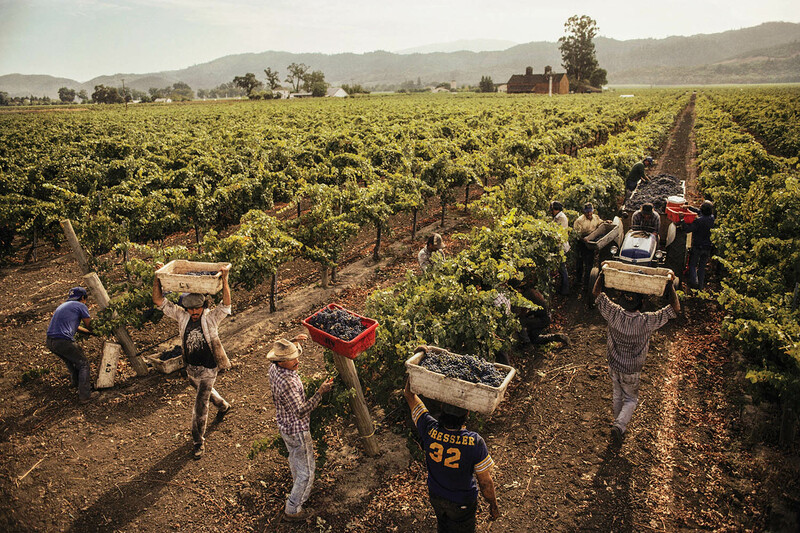 But, just as Jefferson’s vineyards were tended by hired workers and likely some enslaved gardeners rather than his extended family, in Napa Valley such labor is largely done by migrant workers—many of them undocumented immigrants from Mexico and Central America. Those who have remained in this country trend into vineyard management and mostly succeed because they are experienced, smart, hard-working, and eager to undertake tasks Americans aren’t. By comparison, the aspirations of the vintner class are much more akin to those of the aristocracy that Jefferson deplored, even though he belonged to it. Today, Corley’s sons Kevin, Kent, Chris, and Stephen run what amounts to a sentimental architectural replication offering well-made but expensive wine while the paterfamilias expounds on things Jeffersonian. “The proportions of the dining room are about right,” he says, showing me around. “Jefferson would come in early and sit and read until the rest of the family gathered for dinner.” There’s no signature dumbwaiter here, though, and the wine cellar below, with its temperature controls and plush decor, is full of New World cabernet sauvignon and chardonnay that didn’t exist in Jefferson’s time, rather than the wines of Bordeaux, Burgundy, Germany, and northern Italy that Jefferson prized. “Jefferson was all about quality,” Corley says, which is true of what Jefferson drank. But the founding father’s ultimate wish for what might come to pass in America was not “dear”—that is, expensive—wine. He wanted to produce wine that most people could afford. He would have been astounded by the overall fine quality of wine in this valley today and dismayed by the high prices and high octane. Here cabernet sauvignon—what vintners refer to as “rocket juice”—often pushes 16 percent alcohol, considered by many winemakers as an essential element in the steep profit trajectory. Jefferson’s life, writings, and aesthetics inspire in his spiritual descendants, real and feigned, as many contradictions as virtues. This valley may represent the apotheosis of the American family farm, with what is one of the most valuable legal crops anywhere. But how close its twenty-first-century manifestation is to what Jefferson advocated for in the far-away South long ago, and what he would have thought of it, are commingled like old dregs at the bottom of a bottle. Many here may wish to leave that bottle unopened. A journalistic foray to California in the early 1980s first led me into the gorgeous vernal creases in these bracketing mountains. I had grown up in Memphis, Tennessee, and found distinct similarities to my region. Many in Napa Valley were related, helped one another, and shared and traded things as Southerners might—equipment, knowledge, wine, sometimes lovers—and intermarried with a bit less alacrity. They raised their children to take over what was an odd combination of farming, high craft, and an almost religious belief in the rightness of the “cause”—theirs being the making of fine wine. The established families were agricultural, and a few of the scions rose into roles for which they weren’t prepared. Some stories were straight out of William Faulkner’s fiction, the valley overrun with sun-struck approximations of the Snopeses. Others read like a narrative from the Book of Genesis, such as the brothers Mondavi brawling in the vineyard and the expulsion of Robert, that family’s own prodigal son. Another similarity with the South was a fondness for drinking. Jefferson wanted to prove viticulture was not only possible in America, but viable. His vineyard was to serve as an incubator and an example. But he was distracted by affairs of state, family, and travel. His vines, planted on overlays of clay that don’t drain, didn’t do well because of weather and loss to animals, and they were often neglected. His winemaker lacked the knowledge and the science available today, and, in this endeavor, Jefferson failed. I haven’t tasted a Napa wine yet that might pass Jefferson’s test of both quality and affordability. Oaky chardonnays and cabernets with high alcohol levels would have surprised and probably dismayed him since they don’t complement food well. He liked La Tours and Haut-Brions, but his sophistication in describing wine wouldn’t impress today. Of a wine Jefferson encountered on his European pilgrimage in 1787, outside Turin, he wrote in his notes: “There is a red wine of Nebiule made in this neighborhood which is very singular. It is about as sweet as the silky Madeira, as astringent on the palate as Bordeaux, and as brisk as Champagne.”Those comparisons wouldn’t make it into the pages of the noted British wine magazine Decanter, and even wine bloggers would scoff. Jefferson wasn’t interested in wine as a badge of good taste or of wealth. Wine was a fact of daily life, closely tied to his mission as ambassador from a young republic to an old, class-bound empire, a valuable tool in socializing and diplomacy. Given his belief in wine for the masses—and its civilizing influences—he would have disapproved of the cult wines of today. He imported two dozen varieties of the righteous Vitis vinifera from Europe and had them planted on a single acre on the south-facing slope of Monticello, below the terraced vegetable garden. Filippo Mazzei was brought over from Tuscany for that purpose, but Jefferson never tasted a wine made from them because one was never produced. I recently sampled a sangiovese that was vinified from grapes grown a few yards from Jefferson’s original plot. The director of gardens and grounds at Monticello today, Gabriele Rausse, has for decades made the wine behind various Virginia labels, including his own. Rausse is the closest thing the state has to a living viticultural father. He works in the literal shadow of Monticello, in Levi’s and a sweater, bareheaded except in the worst weather, his rough hands on the botanical progeny of the same dream. His sangiovese is eminently drinkable, with a lively nose and good body and balance. The fact that Jefferson tried to develop his own vineyard still resonates. “Jefferson provided a sanction for youthful hopes and illusions,” Joseph Ellis wrote in American Sphinx. “The American dream, then, is just that, the Jeffersonian dream writ large.” Wine is part of that dream, and nowhere has it been realized more completely than in California, where it flourishes in all sorts of terrain, from wild to heavily populated. Wine’s not just a commodity and a measure of wealth, it’s also a historical—and increasingly a cultural—artifact that is inseparable from place. The well-draining soils of Napa Valley were blown by the wind and washed down by storms during the formation of the Sierra millions of years ago, pushed up time and again along contending tectonic edges. Together with the dependable furnace of the sun and chilly nights even in summer, these soils are ideally suited to produce the wide variety of wines arrayed in the ubiquitous bottle displays. In October 2014, I was with a gaggle of wine and food writers having dinner at Cindy’s Backstreet Kitchen in the up-valley town of St. Helena, in preparation for the next day’s tour of Newton Vineyards. Our host was LVMH (Louis Vuitton Moët Hennessy), a multinational that owns fashion and fragrance houses and estates in Champagne, Cognac, and other well-established wine regions of the world, including two in Napa Valley. Naturally, we talked shop. Wine journalism has evolved like any other. This has drawn enthusiasts of every persuasion, upended the old swirl-sniff-sip-spit-jot hierarchy, and destabilized notable egos by letting fresh air into what was formerly the stuck fermentation of wine criticism. But there’s a cost. Among my colleagues at dinner, there was not much knowledge of, or apparent interest in, the agriculture/urban clash fundamental to all that has happened in this valley. I think Jefferson would have been keenly interested in this clash. Napa Valley attracts millions of visitors a year, and too many assume that these places have always been as they are at the moment. Nature has been bent to our wants, including close-up views of vineyards uncoiling on the far side of tinted coach windows, bedecked gift shops, and costly wines poured by people at once obsequious and disdainful. Newton Vineyards has none of these things, fortunately, and is open only by appointment, though one may purchase a bottle on the other side of a latticed facade dense with red trumpet honeysuckle. In most wineries, the old saw of “visitation” has undergone Orwellian transformation, becoming “hospitality,” a genteel implication that wineries put themselves out to receive you when, in fact, they’re enhancing their bottom lines by selling all manner of things directly. This cozy euphemism is all about tourism, the hospitality industry wanting as many bodies as possible lodged in newly built structures. 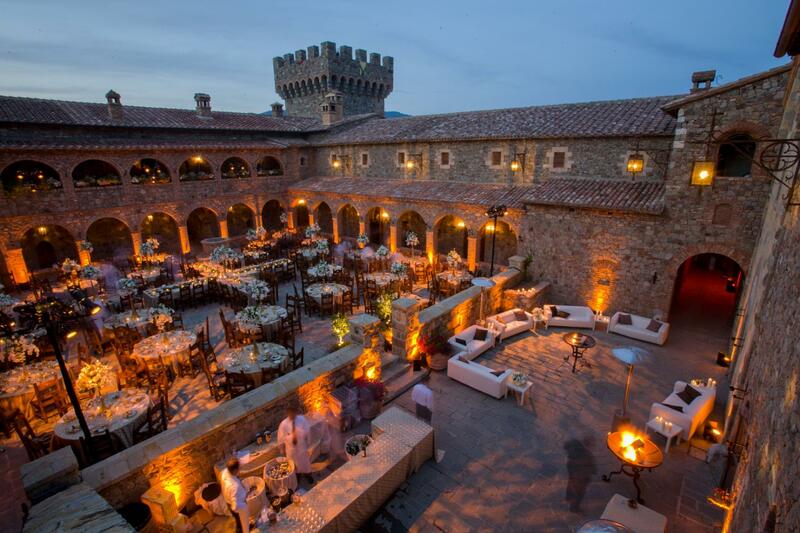 Wineries going the hospitality route seem to look forward to harvesting events more than grapes. I met the late Peter Newton here in 1989. A sophisticated Brit, he had made money as a paper manufacturer and invested in Sterling Vineyards up Highway 29, with a gondola cable car to get visitors up to the winery. (It was bought by Coca-Cola, then sold to Seagrams, and then the liquor conglomerate Diageo.) I remember digging my fingers into the dense coat of his Bleu de Gascogne hound while he talked about his little mountain, with its imported exotics for gardens he himself designed, reminding me of Jefferson’s passionate, wide-ranging amateur interests, including horticulture. Some twenty-five years later, the topiary junipers at Newton Vineyards still look like corkscrews, the roses still so numerous they take two days to dead-head. The torii gate leads to Newton’s residence, the lotus-shaped front door adding a strange, melancholy splendor to a house safe behind white stones raked in the Zen tradition. Our motley tribe is given a tour of the Secret Garden with its Thai spirits house; the English garden with its hanging mulberry and curtain of pleached blue spruce; the Sleeping Beauty Garden with tree roses and a stone fountain brought over from England. The others turn back for lunch, but I’m transfixed in the middle of the infinity-edge lawn, above a valley of Lilliputian vineyards stretching north toward the upthrust knob of Mount St. Helena, as if I’m gazing directly into the past. For a tour later of the 120-odd-acre vineyard in steep, terraced terrain, we board a six-wheeled Swiss Pinzgauer of the sort that transports soldiers. The ride up to the pinnacle passes some of the costliest mountain viticulture on Earth. I believe that it would have astonished Jefferson and filled him with envy, as well as misgiving, seeing those thin black plastic lifelines dipped into a reservoir far below, to irrigate what would be a semidesert but for the nearness of the Pacific Ocean. Until recently, the ocean regularly lofted enough moisture over coastal ranges to fill ponds and assure harvests, but the drought is in its third year. Talk on our tour has been of crush, cuvées, cultured versus wild yeasts, and the subtleties of French oak, but now we’re discussing those plastic IVs for the frail vines. The average rainfall for Napa has been about twenty-five inches annually; but, before a mid-December dump, it was a fourth of that. The drought is on everyone’s mind, though climate change is mentioned gingerly in this conservative valley, and the phrase “global warming” can disrupt a dinner party. Napa’s twentieth-century awakening began in a meeting of the county board of supervisors in 1968. That was the year Richard Nixon was elected president. The all-Republican board passed a progressive, historically significant law—known as the “ag preserve”—making the whole of rural Napa an agricultural preserve. Those living on unincorporated arable land were required to have twenty acres—which was soon increased to forty acres—in order to build one house. In short, rural property was not to be taxed on its market value, but rather on the value of its agricultural product. Opposition, loud and vituperative, came from two predictable sources: landed families with residences in San Francisco who drove up to their “ranches” on weekends and could, if they so chose, develop them; and those who would do the developing. That’s roughly the same cohort that today thinks the notion of climate change unpatriotic and seems to consider unfettered free enterprise more important than wrecked ecosystems. The “ag preserve” is still a quasi-sacred document in some quarters, a small-bore constitution all Napa’s own. Those who fought to get it passed were esteemed in their day, some of them dropouts from academic and corporate America enamored of the notion of wine and living on the land (and who, ironically, became part of the valley’s elite). Jack Davies, cofounder of Schramsberg Vineyards, and others are still invoked but with less enthusiasm among vintners than before, as if those early champions were a tad too smitten with the environmental ethic, and too willing to act on beliefs not totally in their financial interest. Their commitment to viticulture has preserved land that would otherwise be given over to malls, high-rises, and sprawling bedroom communities. But it has also radically altered landscapes, imposed monoculture, cut into available water, and lessened comity in the community. When the ag preserve was created, there were fewer than 100 wineries in the valley, but twenty years later, there were more than double that number. A fierce debate took place about what a winery is. It was determined what a winery isn’t—a hotel, a restaurant, a fashion emporium, a wedding chapel, a concert venue, or other commercial enterprises inappropriate in the midst of agriculture. Unfortunately, variations of such things had been allowed at historic wineries before the ag-preserve ordinance passed, and so could be claimed as rights and exploited. In the late 1990s, a similar dispute split the valley, this time over the development of steep hillsides where towering Douglas firs, oaks, and madronas were felled, and the land plowed, dumping mud into streams and reservoirs. By then the number of wineries had risen to more than 300. 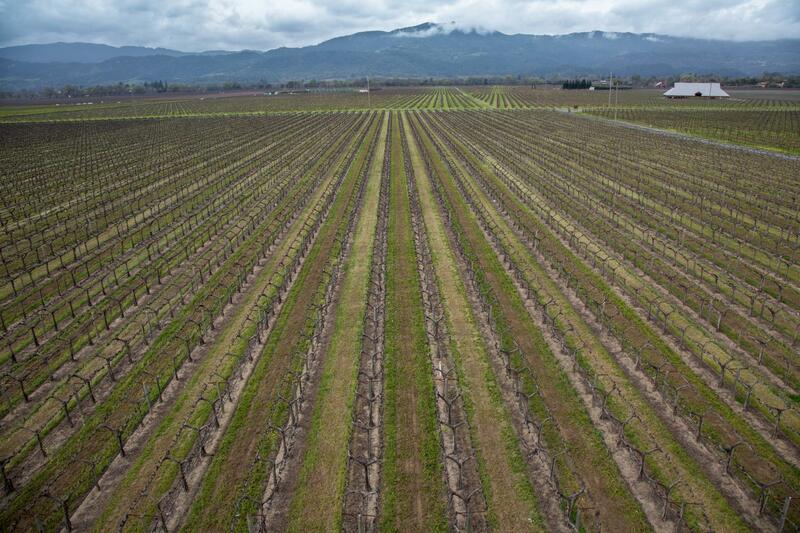 Less than thirty miles long and narrow except where it opens onto San Pablo Bay, Napa Valley is a de jure agricultural preserve that has become, by dint of continued success, a de facto vinous pleasure ground. In 2002, I wrote The Far Side of Eden, a sequel to my first book, which sought to atomize this fight in stories. By then, the valley was already too expensive to live in for those who made it function. Vineyard laborers and hospitality’s boots on the ground often had to cross a mountain range twice a day to get to and from work. The patrician elements were fast disappearing from the environmentalists’ ranks, either by choice or in fear of social fallout from association with strident—read: too effective—“radicals” who had made clear their belief that more viticulture and more structures for producing and selling wine were no longer in the public interest. There are more than 400 wineries in Napa now, and hundreds more if one includes the “virtual” ones that make and store their wine in so-called custom crush locations around the valley. Though 400 event centers are patently nonsensical, an event center is being claimed as a right in a late show of individual rights here on the trailing edge of Manifest Destiny. Many concerns among residents inevitably boil down to one: thwarting attempts by individuals or corporations who want a larger part of the action than the community is willing to give, a variation on the tragedy of the commons. That certainly has happened in Napa, but it raises other questions: Can farmers be said to transform land if, in fact, they are often absentee owners employing others to effect the transformation? And what if their actions are antithetical to agriculture? Would Jefferson have sanctioned the radical alteration of natural landscapes if he had known they would end up approximating the cities he despised? But what would Jefferson have considered the telos of a civilization that removes land from agriculture by covering it with concrete? What would he and his fellow savants have thought of agritourism and enotourism, economically lucrative spectacles with paid performers (farmers, winemakers) and products (designer veggies, rocket juice) that are not staples, but luxuries? Mabray’s concerns, and my own, can be traced directly to changes in ownership. A large percentage of Napa Valley’s vineyard land is owned by corporations. What were once considered American “first-growths”—the earliest successes in producing and selling fine wine, all of them family efforts at the beginning—are now owned by multinational corporations. British liquor giant Diageo bought old Georges de Latour’s beloved Beaulieu; the Australian brewer Foster’s had properties here, including the landmark Beringer, before spinning them off; Constellation Brands owns Robert Mondavi Winery, among others. In Jeffersonian terms, the acquisition of Mondavi by a conglomerate represents the signal failure of a Napa family enterprise in recent times. The late Robert Mondavi and his heirs got rich selling, but the brand lost its luster, and the family some respect. The late Harvey Posert, a savvy publicist who lived in the valley for half a century and worked for Mondavi before it went public, said that a member of Constellation’s negotiating team later reported, “We stole it [Mondavi]. We made enough off Woodbridge [the Mondavi lesser label] that first year to pay for the whole thing.” Other big corporations have since sold vineyard land to investors and then leased it back, the corporations getting financial upticks and maintaining a steady grape supply, but they’re out of farming. The signal loss of the family-held farm was Inglenook, which was sold in the 1960s to a group of investors and then to Heublein, headquartered in Connecticut. This action ushered into the valley the first corporate giant. Today Inglenook belongs to Francis Ford Coppola, who, in a display of commercial triumphalism, transformed it into a shrine for his moviemaking, with a multiproduct boutique grandfathered in. Not long ago I wandered in the woods above Inglenook. The fabulous old stone winery was built in 1879 by a Vermont native and colleague of Neibaum, Hamden McIntyre, who also built Ewer (later named Beaulieu), Chateau Montelena, Greystone, and Eschol (now Trefethen). I came across the gunboat used in Coppola’s Apocalypse Now, stashed amidst runty live oaks, a cinematic prop and reminder of monumental loss, both the country’s and this little valley’s. Andy Beckstoffer, a young comer from Richmond, Virginia, was sent out in 1969 by Heublein to manage its new investments. He stayed on after Heublein slunk away, and he achieved something unique in a place soon shoehorned full of millionaires, celebrities, charlatans, and dot-commers all trying to do something similar. 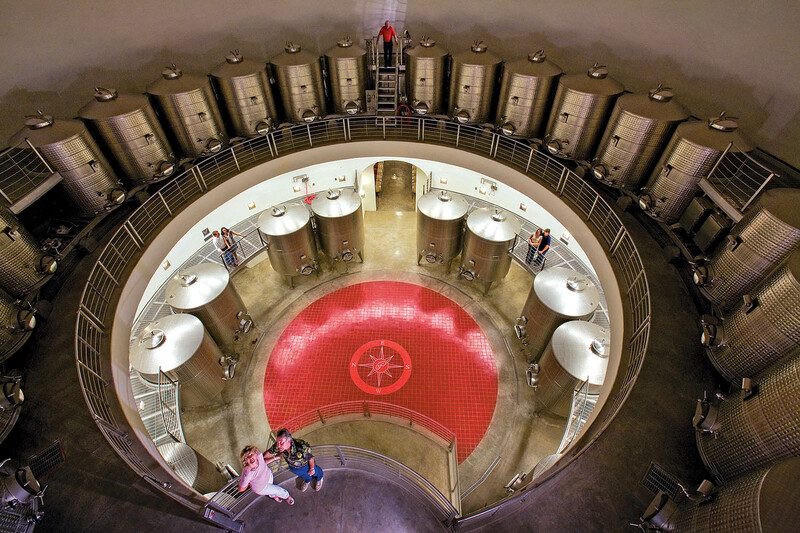 There’s no Beckstoffer winery—an example in its own right. His passion from the beginning was land, not bottles, and he now owns more vineyards here and in neighboring Mendocino and Lake counties than any other individual. These properties include some of the first plots planted with Vitis vinifera, their historic provenance preserved by the enormous price their grapes command, the most notable being To Kalon. 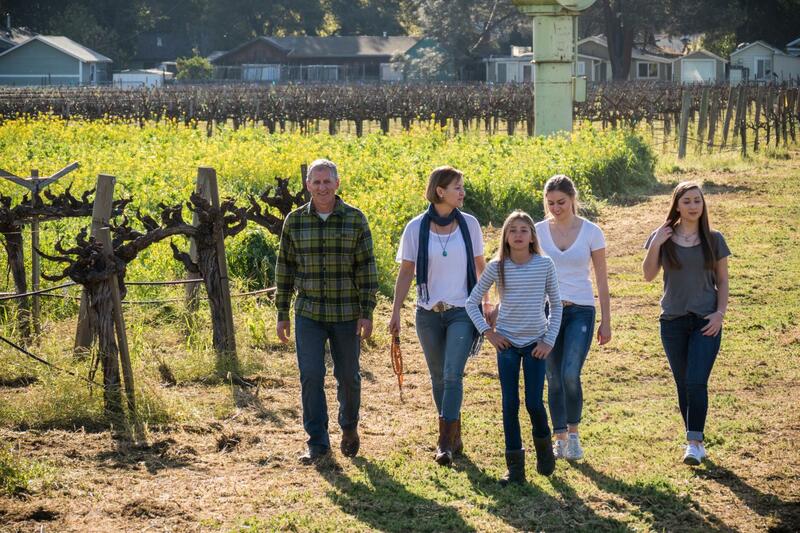 It was planted by Napa pioneer Hamilton Crabb in 1868 and has produced some of the valley’s best fruit since. Beckstoffer bought it in 1993 and later placed it under a land conservation easement that prohibited nonagricultural development. 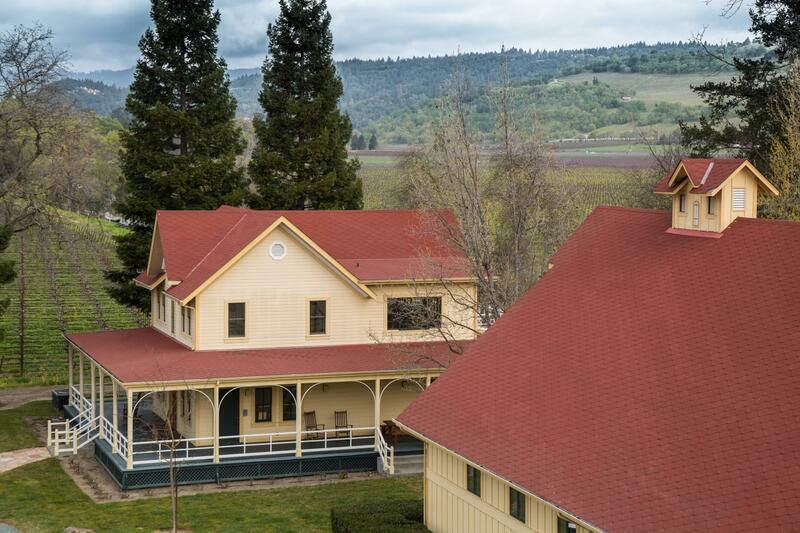 The Beckstoffer headquarters is in Rutherford, on the other side of the river from Inglenook, and more suggestive of the past than is Niebaum’s trumped-up winery today. To reach Beckstoffer, I turned off Conn Creek Road into a long dusty lane. At the far end was a pretty, yellow clapboard Victorian with a porch, a steep red roof, and a wooden water tower, all reminiscent of the classic Napa Valley small landowner in the nineteenth century, including the old Chiles House at Inglenook that served as an office when Beckstoffer first arrived in the valley. Overall there was a feeling of space and purpose, with a view of a big barn and outbuildings storing mechanized farm equipment, with vineyard material in the staging yard and the air full of the smell and touch of dust. No event center here. Excepting the high price that any good Napa wine will bring, there are several latter-day vintners in the Jeffersonian mode. They live on farms, exhibit devotion to land over wealth and position, and provide defense of ideals—actively, by example, or both. Volker Eisele of Eisele Family Estate in Chiles Valley had long been active in the environmental struggle and provided crucial strategic and organizational support for agricultural causes since well before the winery-definition fight. (He died in January 2015.) 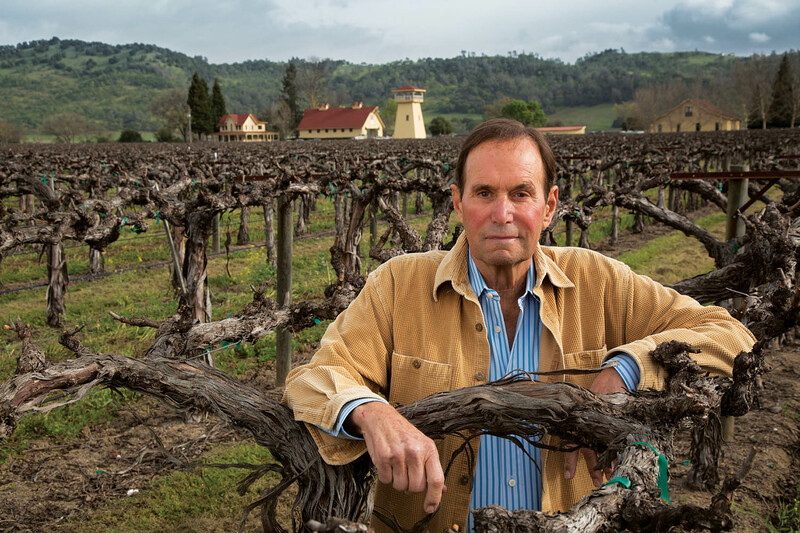 Randy Dunn, owner of the eponymous winery on top of Howell Mountain, has always done much of his own work. 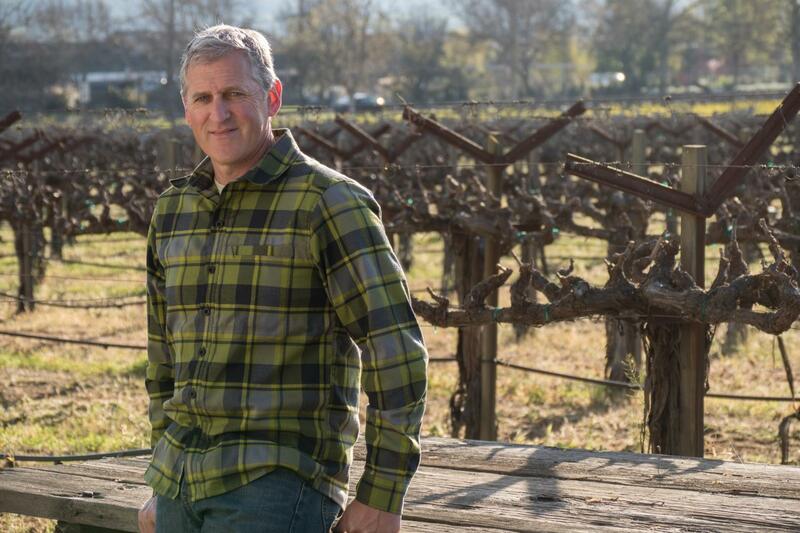 He put the winery and vineyards up as collateral a few years ago to help to buy Wildlake, one of the last pieces of wilderness that’s now under conservation easement. John Williams, owner of Frog’s Leap, is a cofounder of the Rutherford Dust Society, a serious steward of the ailing Napa River, and an advocate of dry farming without fertilizers, herbicides, or pesticides. On the day I was to leave the valley, I turned on impulse into a gravel driveway within the St. Helena town limits and passed through an old gate with the name Salvestrin painted above. Trees partially obscured a white-frame farmhouse enlarged in 1879 by Dr. George Belden Crane, whose original vineyard nearby was planted in 1859. 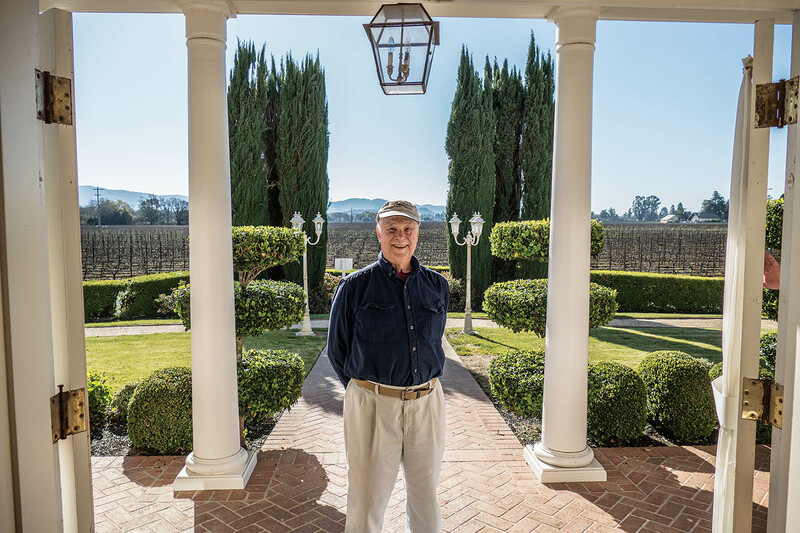 You could easily miss this place, and most visitors do, although Crane is an agricultural hero since he was the first to plant Vitis vinifera in the valley instead of the old Mission grapes put in by George Yount down in Yountville. James Conaway is the author of three novels, including Nose (Thomas Dunne, 2013), set in California’s wine country. He has written numerous books of nonfiction, including The Far Side of Eden: New Money, Old Land, and the Battle for Napa Valley (Houghton Mifflin Harcourt, 2002) and Vanishing America: In Pursuit of Our Elusive Landscapes (Counterpoint, 2007). He is a former Wallace Stegner fellow at Stanford University. Peter Menzel is a photojournalist in Napa Valley, California, and the author of several award-winning books, including Hungry Planet: What the World Eats (Ten Speed, 2005) and Material World (Sierra Club, 1994). His photographs have been published in Le Figaro, Der Speigel, Focus, El Pais, National Geographic, Smithsonian, the New York Times Magazine, and Time, and have received numerous World Press and Picture of the Year awards.